Vendicari, Marzamemi and Isola delle Correnti - A full day off into nature! Discover the naturalistic beauties of Southern Sicily. A full day off into nature! “Vendicari, Marzamemi and Isola delle Correnti” Tour, enjoy an amazing day adsorbed by nature! The first stop of this Tour will be the beautiful natural reserve of Vendicari, a real paradise for birds. Here we will have the chance to spot flamingos, storks and sometimes even pond turtles in their natural habitat. After a short walk you will reach the beautiful “Tonnara“, a dismissed tuna factory, and Torre Sveva’ beach, where there still lie the rest of a fortress built by the Spanish in the XV century a.C. The second stop of the “Vendicari, Marzamemi and Isola delle Correnti Tour” is Marzamemi, an old fishing village. 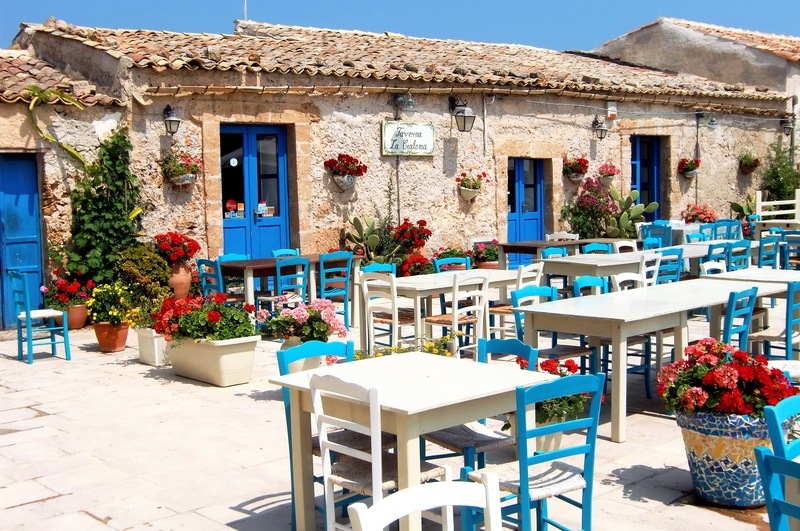 In this beautiful and quiet place you will taste “cremolada”, a typical kind of ice cream. It will be amazing to have a walk through the narrow streets, filled with scents of fresh fish and other typical products. Typical of this village are the houses in white and blue walls. At lunch time we’ll offer for free a rich tasting of Sicilian street food. Or, if you prefer, you will have one hour of spare time to enjoy lunch in the nearby. The last stop of the Tour will be “Isola delle Correnti” (“The Flows’ Island“) a special place where two different seas, The Mediterranean and The Ionian Sea meet. The water in this natural reserve is filled with colorful fish and rocks. At the times of low tide, the island turns into a peninsula, becoming the most southern part of Sicilian soil. When this wonderful visit will be over, you will get back on the minivan.